The latest installment in the driving franchise from Ivory Tower will hit PC and consoles on June 29th has announced Ubisoft. Get the new trailer of The Crew 2 inside along with some details about the Motor Edition. 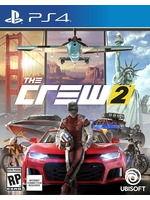 SAN FRANCISCO — March 15, 2018 — Today, Ubisoft announced that The Crew® 2, the newest iteration in the revolutionary open world driving franchise The Crew®, will launch on June 29, 2018, for PlayStation®4 computer entertainment system, the Xbox One family of devices and Windows PC. • The Crew 2 Gold Edition and season pass lets players enjoy new vehicles, outfits, additional content and much more. • The Motorsports Deluxe Pack, which includes unique outfits and vehicles, including the FORD F-150 RAPTOR RACE TRUCK 2017, PILATUS PC-21 AIR RACE EDITION 2002 Plane and the ABARTH 500 MONSTER TRUCK EDITION 2008. • A customized, 11.81” x 5.9” American The Crew 2 license plate that comes in a high-quality collector box, an exclusive Steelbook®, the official Roadmap of the game and four original stickers. Players who pre-order will receive The Crew 2 Legendary Motors Pack, which includes exclusive vehicles such as the Mercedes-AMG C 63 Touring Car 2016 and the HARLEY-DAVIDSON® IRON 883TM 2017. 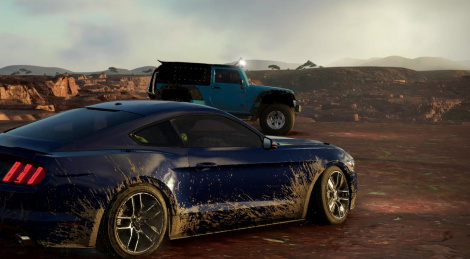 "Players can start their in-game vehicle collection right now with The Crew Rewards Program. By completing a series of monthly challenges in the first installment of The Crew, players can unlock up to 19 vehicles in The Crew 2, including exclusive water vehicles."